Aware of the challenge the authorities decided to award to the Museum the historic and prestigious building of the Governorate of Kampot. This building, with the financial assistance of the AIMF, was completely renovated. The interior of the ground floor has been converted to house the Museum, modest, but consistent with the requirements of the modern museum. The Museum is located Kampot Sala Khet Street 735 Kampong Bay Kampot. The Kampot region has a two thousand year history, its population is diverse and its resources are varied. Kampot city holds an exceptional architectural heritage dating mainly from colonial times. Yet this heritage is largely ignored both by Cambodians and foreigners. 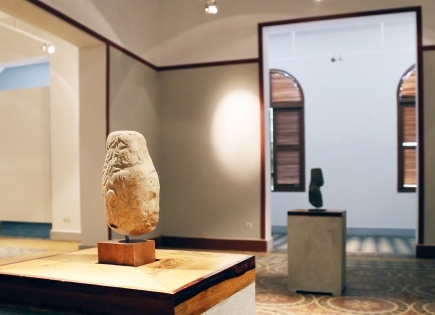 The Museum is dedicated to restore their memory to Cambodians and to allow foreigners to learn more about the region . Kampot capital of the eponymous southern province has a charm to which foreigners are sensitive as evidenced by the growing number of foreign residents and the influx of tourists of all nationalities. The city is located between two major attractions that are Kep resort and Bokor hill station. 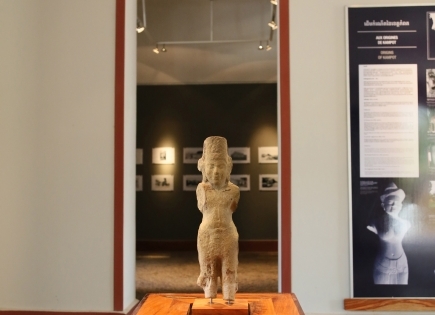 The Museum aims to fill this gap and offer both to residents and to foreigners a cultural site. 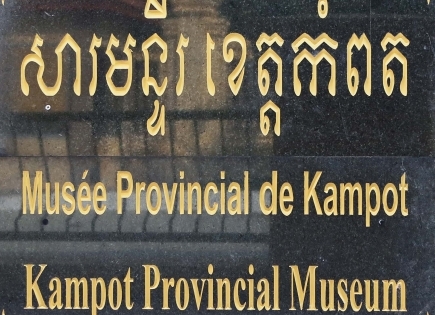 The museum currently includes three elements: - A series of 6 large panels depicting the milestones in the history of the province of Kampot. 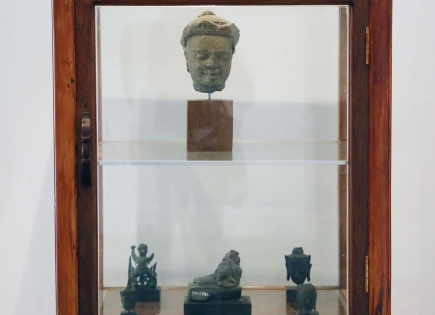 Preferred periods, due to the existence of sources, are pre-Angkorian period, from eighteenth and nineteenth centuries, the colonial period under the protectorat regime and the contemporary period. - The presentation of 38 photos about the history of Kampot. 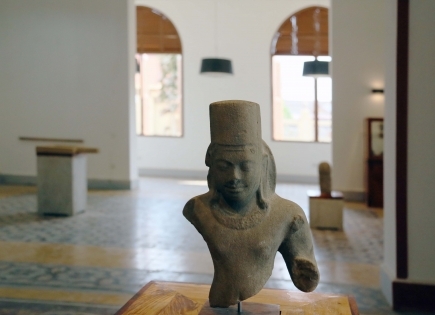 - A dozen archaeological pieces found in the Kampot region. Most of the pre-Angkorian period. 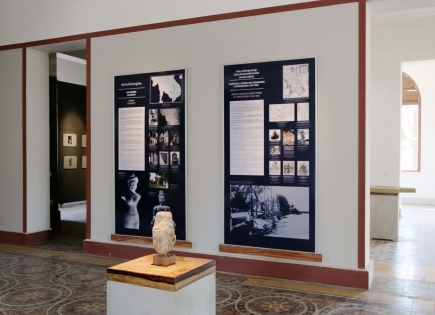 Archaeological items made available by the Regional Directorate of Fine Arts. Pre-Angkorian period, Prei Khmeng Style, half of 7th century. Angkorian period, Koh Ker Style, 10th century. Pre-Angkorian period, Prei Khmemg Style, half of 7th century.